The National Gardens Scheme is well underway for 2014. Yesterday we saw the garden at Ulting Wick in Essex, owned by Phillipa Burrough and run by herself and full-time gardener Neil. 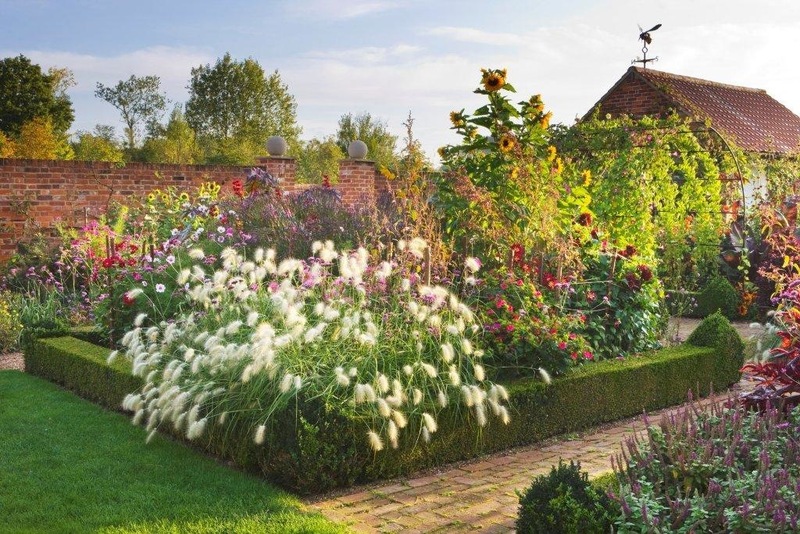 This garden has been featured in Gardens Illustrated, and is renowned locally for the exuberant display of tulips in the spring. It was a real pleasure to walk around and superbly cared for – Phillipa herself was a pocket rocket dashing around with the lawnmower preparing for the big open day on Sunday 27th April. If you are free, do head to this part of Essex and take your time walking around. We hope it inspires you to be bold with your choice of colour and style of plants! This year the tulips in the Old Farmyard Garden have been replaced by a new planting scheme, due to a virus in the soil. It has an experimental look, and a competely different atmosphere to when it was packed with tulips, the bright stars of spring. To recreate that ‘wow’ factor in April, without using the variety of colour tulips bring you, is difficult. If you use spring flowers you will get a fresh, verdant look, with lots of yellow, white and blue. Beautiful, but not punchy. Neither will you get the flower power necessary from planting grasses or later season plants either, as in spring time these plants give you more a sense of gathering speed, of putting on their make-up for later. Perhaps biennials will prove the solution?